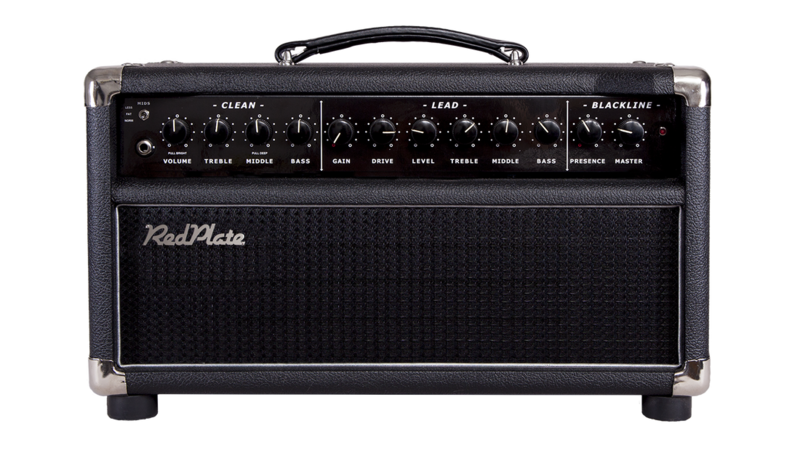 ​The BlackLine is a dual channel amplifier that raises the bar on guitar tone. The BlackLine is available with reverb. 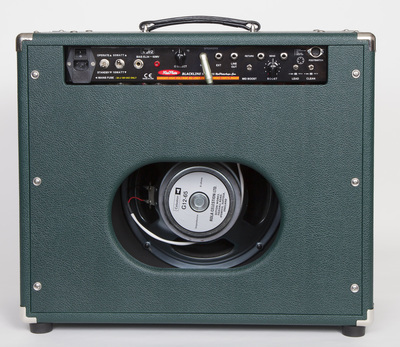 A true two channel amp with independent tone controls on each channel along with midrange boost and adjustable boost for the drive channel, fixed boost for the clean channel. 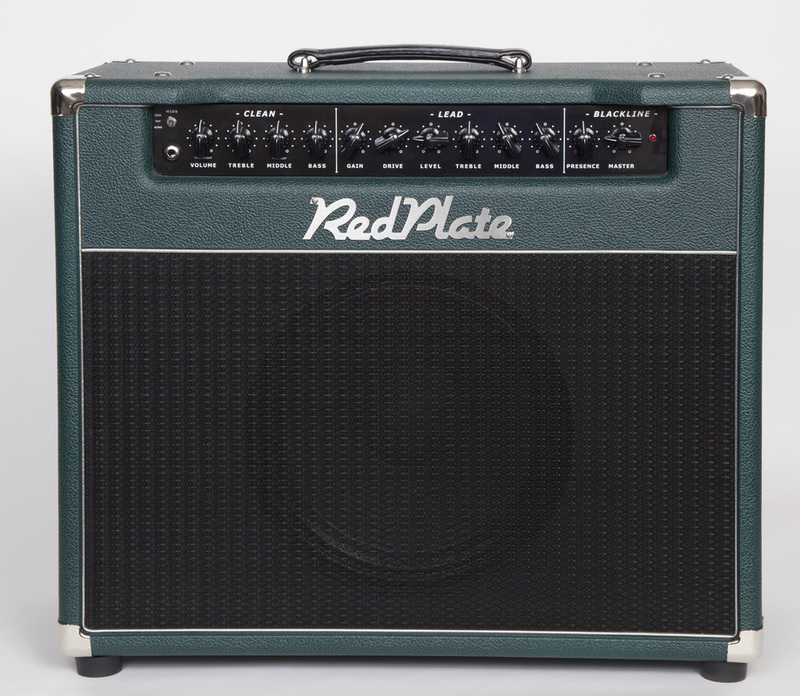 The player can easily go from crystal clean to blues/rock crunch up to searing fusion tones. Operation could not be easier – set the clean channel and adjust the master for the room size, then set the lead channel controls to your favorite crunch tones. With the included footswitch you can step on midboost for creamy fusion or step on boost for rock, step on both for endless sustain. 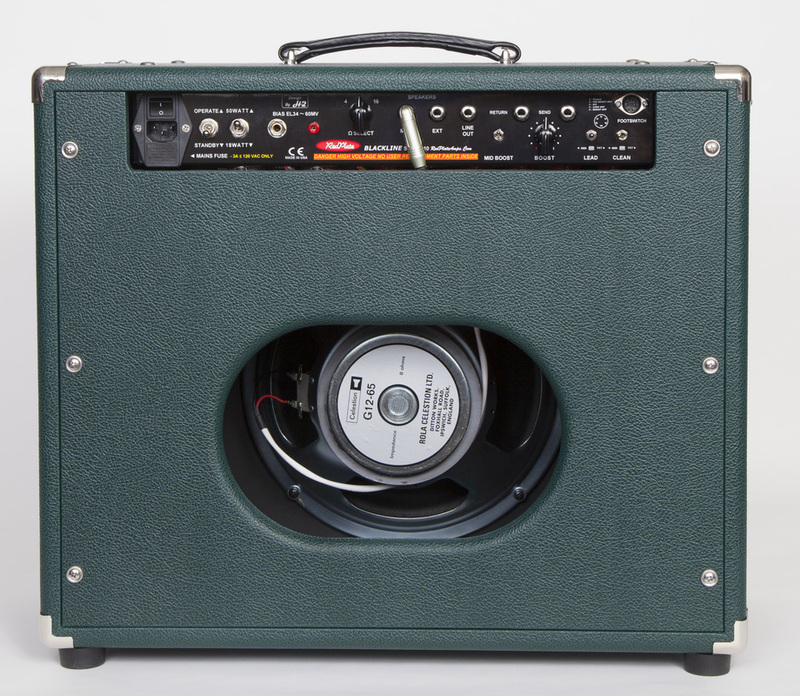 The active master volume means no attenuator is needed even for small rooms and a fully buffered tube effects loop lets you place your time based effects where they belong, after the preamp.